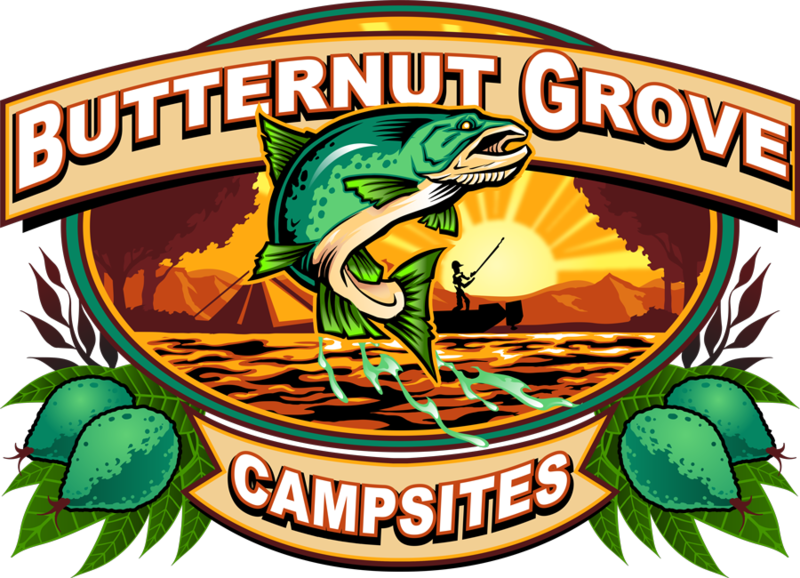 Butternut Grove hosts several tent sites. 4 are under trees at the riverside and have electric and water. We also have numerous primitive tent sites available. All sites have a picnic table and a fire ring. Firewood is available for purchase on site as well. Seasonal - April 1 to October 31 - Every weekend, all long holiday weekends, 2 weeks "vacation". RV camper on site entire time. Grove and fields sites: $1595.